Until the end of the XIX century, Serbia had no special institution for education of the Ministry of Intеrior’s staff. The first Gendarmerie school was founded in 1899 on Dorćol and has worked only for a year, and the famous Gendarmerie School for Non-commissioned officers in Sremska Kamenica was founded after the First World War, on February 1st 1920. In the same year, the book “A contribution toward the reorganization of the police” was published, written by Dr. Rоdolphe Archibald Reiss, leading criminalistic expert and founder of the Institute of Police Science and Criminology in Lausanne. The Ministry of Interior hired Reiss to refine and reform the police, and his Contribution predicted establishing police schools in Belgrade and other towns in Serbia. Thanks to his effort, in the period between the two World Wars, Belgrade police gained professional staff and modern organization. After the Second World War, the problem of leading staff education occurred again, and the School for Non-commissioned Officers of the Peoples Militia began working in 1947, in Vrbas. During that period, the School for Peoples Town Militia in Pančevo and the School for Station Commanders of Peoples Militia in Zemun were founded. By the decision of the Assembly of the Socialistic Republic of Serbia, the Police High School “Pane Đukić” in Sremska Kamenica began working on 1st September 1967, and became a main centre for education and training of staff for the purpose of public security. In the year 1972, the Law on the Advanced School of Internal Affairs in Zemun was enacted, and the School began working the same year. First generation of students consisted of 160 regular and 207 irregular students. Studies lasted four semesters, and since 1977 five semesters; finished students gained the title legist. Two decades later, on 30th June 1993, with the enactment of the Law on the Police Academy, the first educational-scientific higher education institution for police profession was established. In that way, the idea of creating a higher education institution that would complete the system of police education was finally accomplished, and the Police Academy soon came in rang with some of the Europe and world’s institutions of higher education with longer traditions. In accordance with contemporary demands and needs of the profession, the Academy of Criminalistic and Police Studies was established on 27th July 2006, by the decision of the Government of the Republic of Serbia. It is an independent higher education institution that provides academic and professional study programmes of all levels for the purpose of police education, and police and security affairs. 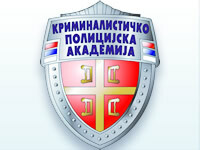 The Academy of Criminalistic and Police Studies (ACPS) became by merging of the Advanced School of Internal Affairs and the Police Academy – the two most important institutions specialized for conducting educational and scientific activities for the purpose of police education, and the Academy of Criminalistic and Police Studies is their legal successor. The Academy educates, specializes and qualifies employees for the highest directing jobs in the police. The curriculum for the basic studies represents the result of entire reforms of police schooling. The accent is on those teaching subjects which are more related to criminalistic, police and other security activities and which qualify the students for development and application of scientific, professional and other achievements. Complementary to the basic activities of the Academy are scientific research work, tutor’s work with students and extracurricular activities, and supporting activities are students’ standard affairs, IT centre, publishing activity and administrative and technical services.